Size: approx. 3-4 mm. Photo: 06/13/12, 9 pm. The genus Erythroneura has ca. 70 species in North America. 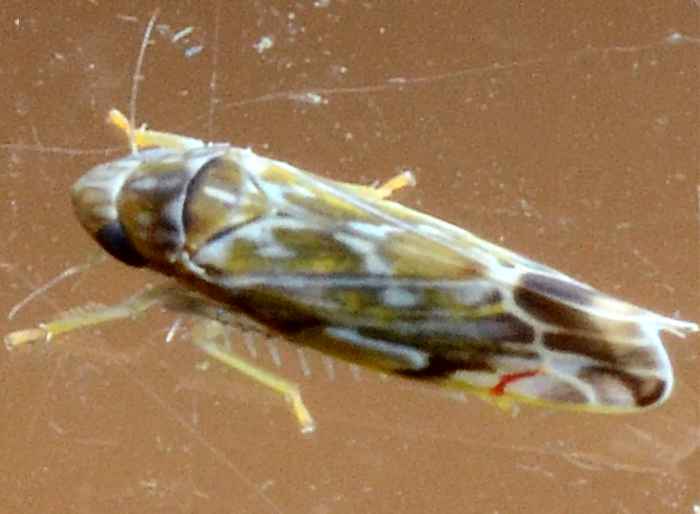 Like most of my leafhoppers, this specimen has been identified by an expert (see link). Based on the spare data on bugguide.net, this species (E. vulnerata) is more frequent in the eastern half of the country.